Of course, following his question why the proponents of the Obamoratorium would reject the advice of the actual experts in favor of Ken Salazar and Michael Bromwich, who between them couldn’t tell you the difference between an oil well and a wishing well, there was no answer. Cassidy actually managed to get support for the amendment from Natural Resources committee chair Nick Rahall (D-WV). Another Democrat, Jim Costa of California, also came aboard. But the amendment lost by a 22-26 vote, including five votes by supposedly “non-voting” delegates from places like American Samoa, the Northern Marianas, the Virgin Islands and Guam. 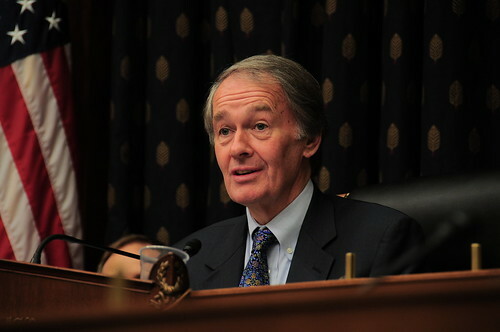 And Ed Markey, whose boss George Soros stands to make hundreds of millions of dollars off the moratorium thanks to his near billion-dollar investment in Petrobras.